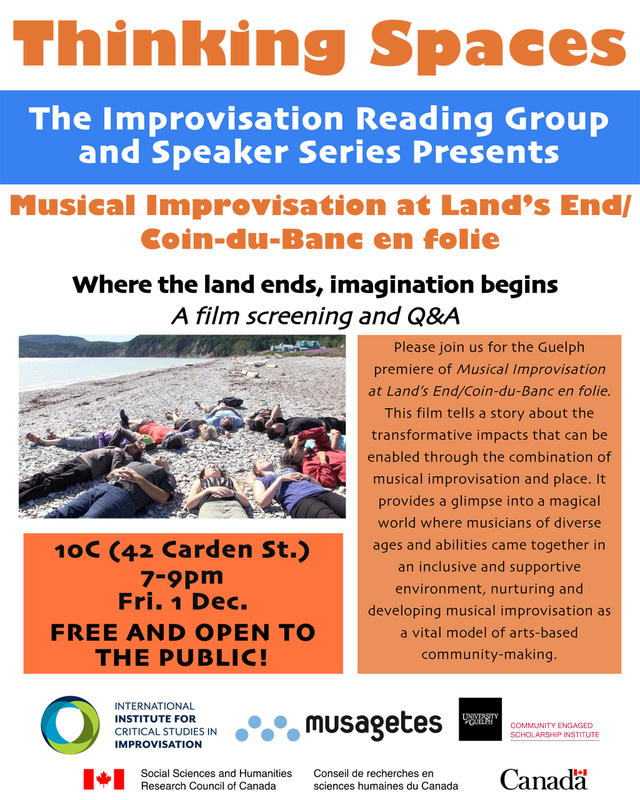 Please join us for the Guelph premiere of Musical Improvisation at Land’s End/Coin-du-Banc en folie. 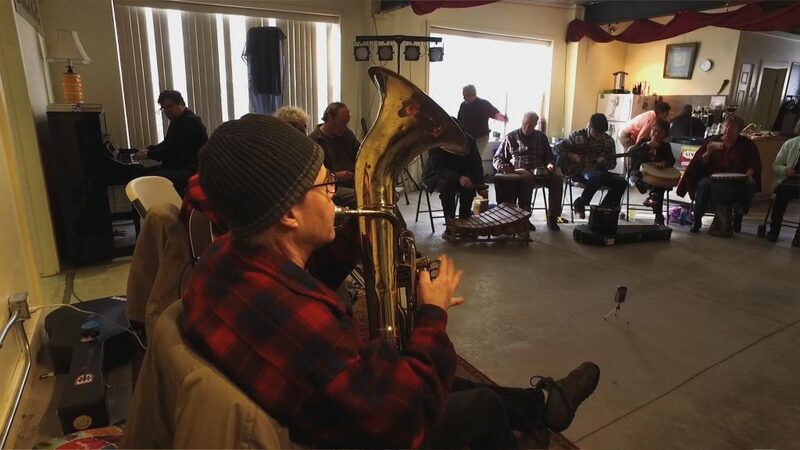 This film tells a story about the transformative impacts that can be enabled through the combination of musical improvisation and place. 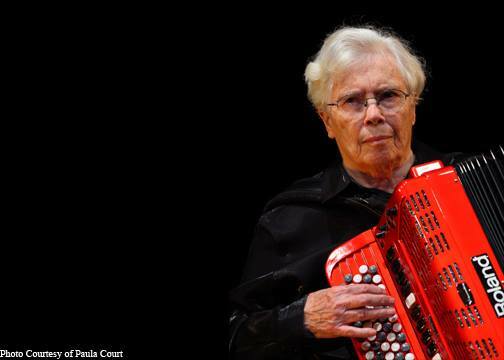 It provides a glimpse into a magical world where musicians of diverse ages and abilities came together in an inclusive and supportive environment, nurturing and developing musical improvisation as a vital model of arts-based community-making.